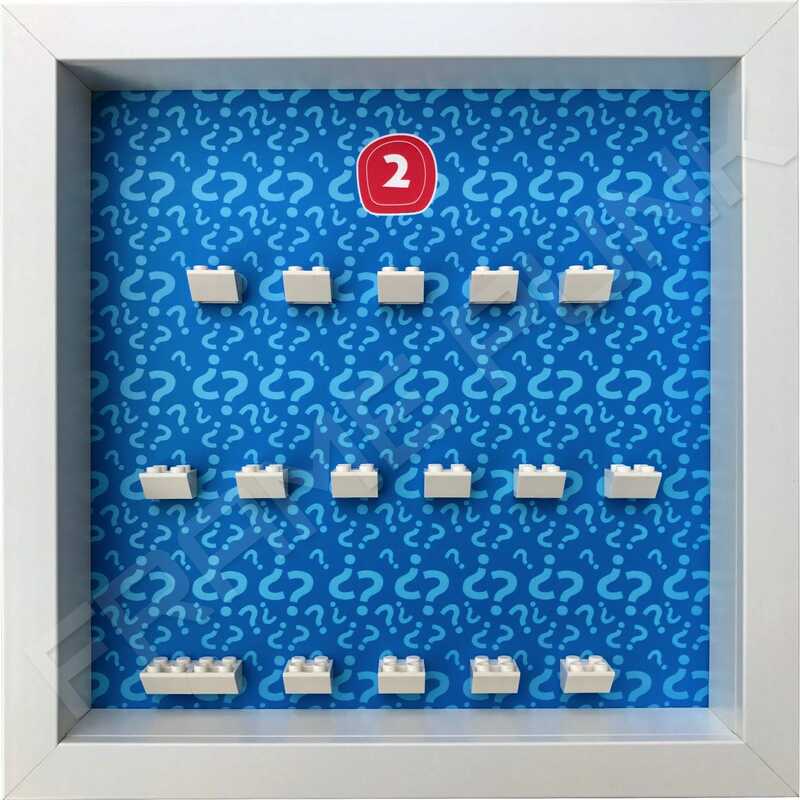 • 18 Official White LEGO mounting bricks. So you have collected all 16 Lego minifigures of series 1 or 2 of The Simpsons Lego minifigures. 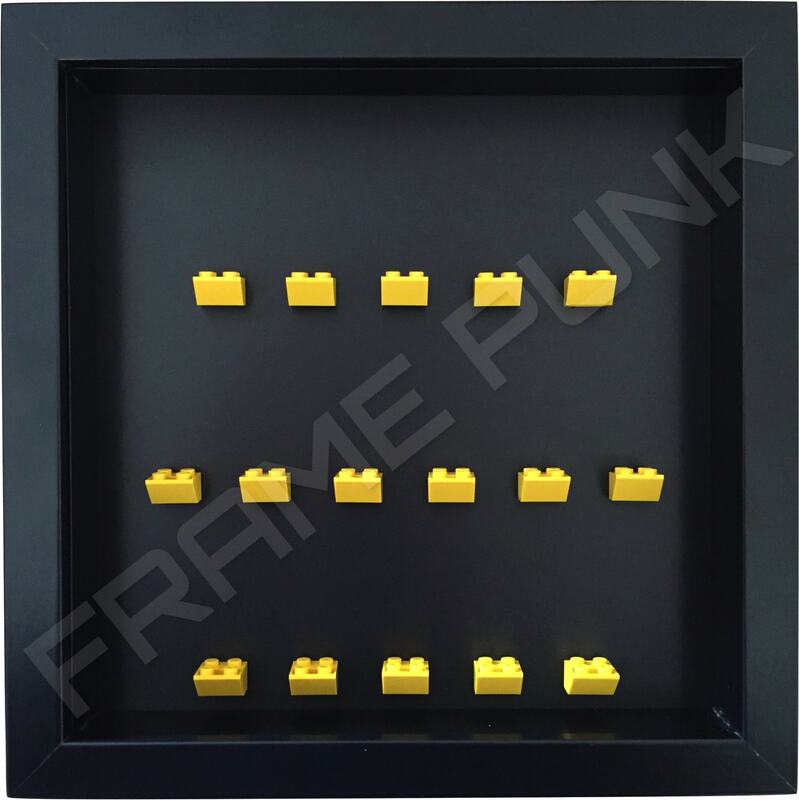 What better way to display them proudly than in our Frame Punk dual use series Lego Display frame. Using the familiar and iconic cloudy backdrop that starts each show as the background, your fantastic Simpsons LEGO minifigures will look right at home. 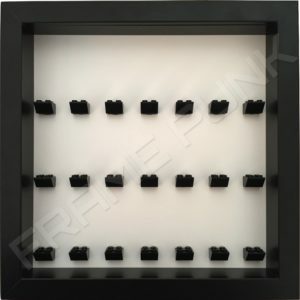 The frame itself is available in black or white. Measurement and spacing is precise ensuring that even Marge Simpson (with her famous blue beehive) will fit in neatly as seen in the listing images. 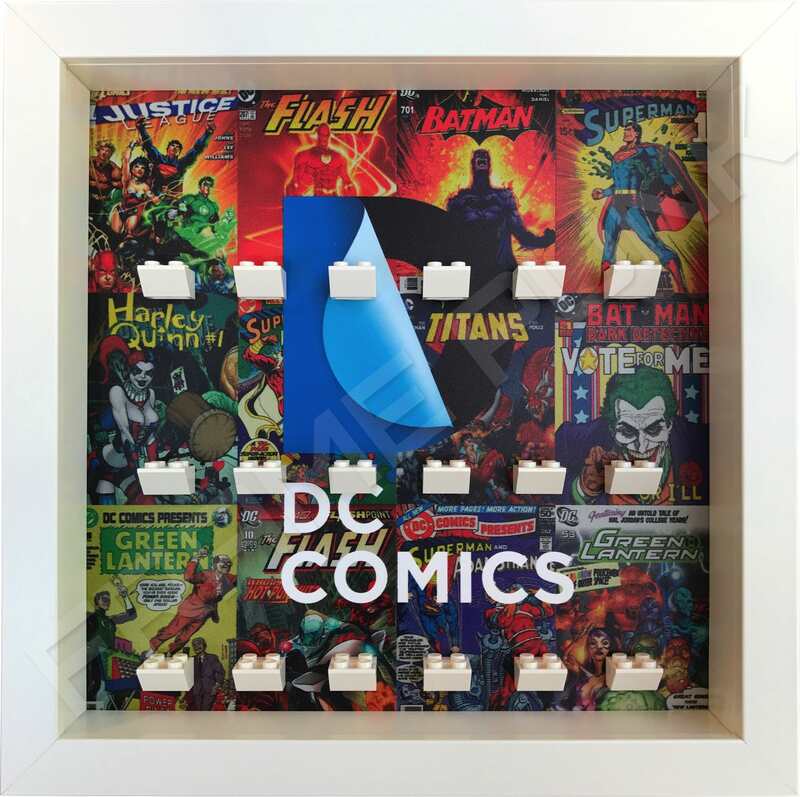 We recommend using our minifigure configuration as seen in the listing images, for your series 1 or 2 set. Want something a bit different whilst still unmistakably part of The Simpsons world? We also have a frame available with a bright yellow background and some mouthwatering pink donuts, and of course, The Simpsons logo.